The Russian Presidency declared November 1 a day of mourning after Egyptian search and rescue teams reported that non of the 224 souls on board the ill-fated flight KGL9268 had survived the crash in Egypt’s North Sinai province. The majority of passengers were women and children. Egyptian and Russian teams are at the crash site. 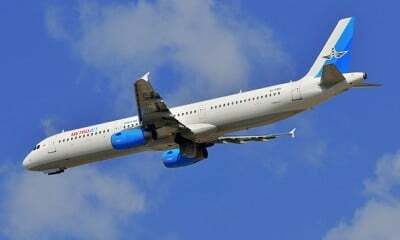 Kogalmavia (Kogalymavia) Airlines flight KGL9268 from the Egyptian Red Sea resort Sharm el-Sheikh to St. Petersburg, Russia, crashed on Saturday morning, some 23 minutes after takeoff. Anxiety, hopes and fears turned into tragedy and tears when Egyptian rescue teams with some 45 ambulances arrived that the crash site and found no survivors. Tragically 25 children were on board the Airbus A321 while the majority of the passengers were women. Most passengers were Russians. There were four Ukrainian and one Belarus national on board the plane. Tragedy and tears at St. Petersburg Airport. Photo courtesy of Tass, Sergey Konkov. Russian President Vladimir Putin responded to the tragic news, declaring November 1 a day of mourning. Putin called on cultural institutions and broadcasters in Russia to cancel entertainment programs and to focus on the loss of lives instead. Egyptian Prime Minister Sherif Isamil visited the Russian Embassy in Cairo Sunday morning to express his condolences, reports The Cairo Post. Initial speculation and sensationalized reports about a Daesh (ISIS / ISIL) affiliated Egyptian group’s claim of responsibility for “having brought down the Russian airliner” were quickly discredited when experts arrived at the crash site and found that the plane had not disintegrated in flight, and that all four corners of the jet, including the fuselage that had been separated into two sections were at the same, spatially limited crash-site. Foul play can, however, only be fully excluded during the course of the investigation. Egyptian authorities have, however, declared the crash site in Egypt’s North Sinai province, some 100 km south of Arish a “restricted zone” until the end of the investigation. The Egyptian government and military have since the ouster of former president Mohamed Morsi in 2013, fought the Daesh associated Ansar Bayt Al-Maqdis (ABM) and other insurgencies. Arish is the hotbed of ABM activities. The aircrew on board flight KGL9268 reportedly called Egyptian air traffic control to ask permission to deviate from the scheduled route and to conduct an emergency landing at Cairo Airport due to technical problems. The reportedly 18 1/2 year-old Airbus A321 was airworthy and safe, claimed Kogalmavia (Kogalymavia)Airlines, also known as Metrojet. The airline had only suffered one other serious incident. In January 2011 a fire broke out on one of the airline’s Tupolev Tu-154B-2. Passengers and crew on flight RA-85588 were evacuated seconds before a flame-over in the fuselage. Three were killed and 43 were injured. Russian and Egyptian investigators at the crash site have been joined by experts from Airbus and from the French aviation authority. The plane’s flight data and cockpit voice recorders have reportedly been recovered. Initial results of the investigation suggest that the Airbus 321 had, depending on varying sources, reached a cruising altitude of some 28,000 – 31,000 ft before it suddenly lost altitude, briefly stabilized, and then crashed to the ground. There have been, so far not independently verified, reports that the aircrew complained about a technical issue before takeoff from Sharm el-Sheikh. Ultimately, the flight data recorder, the cockpit voice recorder, radar and other data as well as evidence from the crash site may provide answers to the causes of the crash. nsnbc calls, as in all air crashes, for full transparency and for providing certified copies of the data from the black boxes to independent media. nsnbc will pursue this issue if necessary. On Saturday the Russian Ministry of Emergency Situations dispatched four planes, loaded with recovery teams, trucks and other equipment to Egypt. The teams have arrived at the crash site. Russian Transport Minister Maxim Sokolov, Minister for Emergency Situations Vladimir Puchkov and the head of Rosaviatsia Federal Air Transport Agency, Alexander Neradko, were also heading to the crash site. Egypt’s Minister of Tourism, Himam Zazou told the press that Egypt is ready to provide all possible assistance to repatriate the bodies of those who perished in the crash as soon as possible. Meanwhile, a crisis center has been established at St. Petersburg Airport in Russia. The families and loved ones of those who perished in the crash have been informed. While some were waiting at the airport, others have been arriving at the crisis center from 13 Russian provinces. Investigators and the bereft have embarked on the agonizing task to take DNA samples to help identify the remains. So far the remains of at least 175 of the 224 who perished have been recovered. Recovery efforts continue. The bereft have been afforded psychological, psychiatric and social services. The Egyptian Minister of Tourism Himam Zazou said “Now we will conduct DNA tests on the bodies of the passengers. If you are ready to transport them to their home country, we are prepared to assist”. Besides having the remains of loved ones repatriated, one of the most important factors for finding closure is full transparency with regard to the investigation, independently testable, verifiable or falsifiable evidence and data, results of an investigation and a report that are consistent with such evidence.